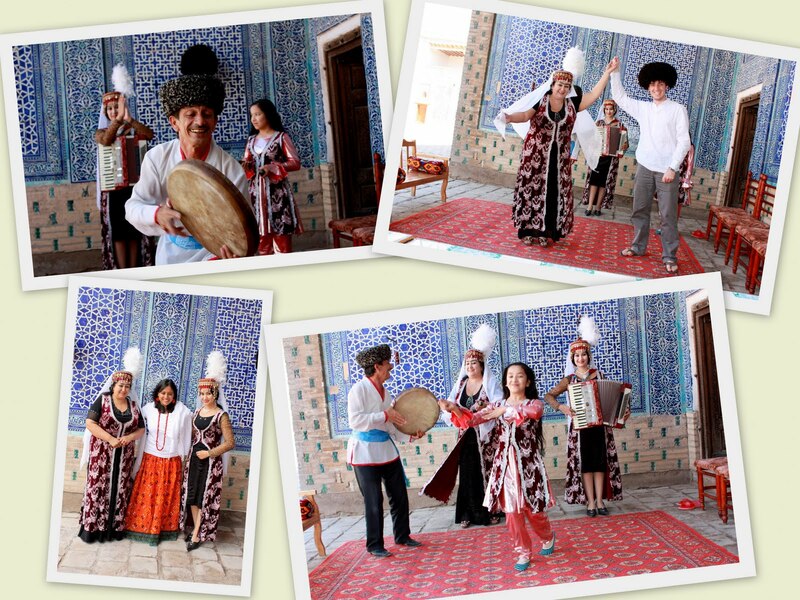 As soon as we reached Tashkent, we made our way to Urgench with Uzbekistan Airways. Urgench is situated in the western part of the country and it took about 2 hours to get there. There is nothing to see or visit in this city, but travelers usually go there as it is the closest city with an airport to Khiva. 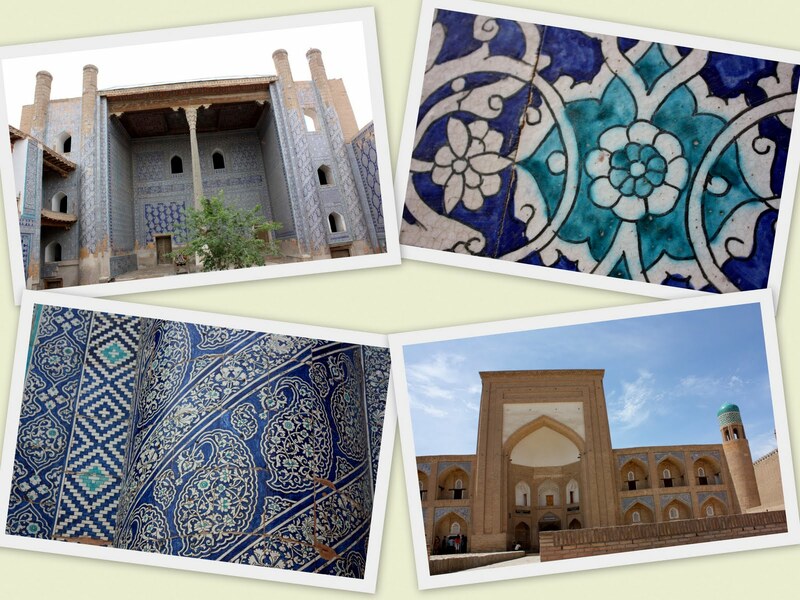 Once we arrived, our driver and guide took us to Khiva by car, and the ride was about 45 minutes. I instantly fell in love with Khiva. Usually, it is nice to save the best things for last, but after reflecting on my trip, I think I started out with the best thing. Khiva is a small city that is situated along the Silk Road and is only 5 km away from the Turkmenistan border. It is in the province of Khorezm and is divided into two parts: Ichan Kala (Inner city) and Dishan Kala (Outer city). 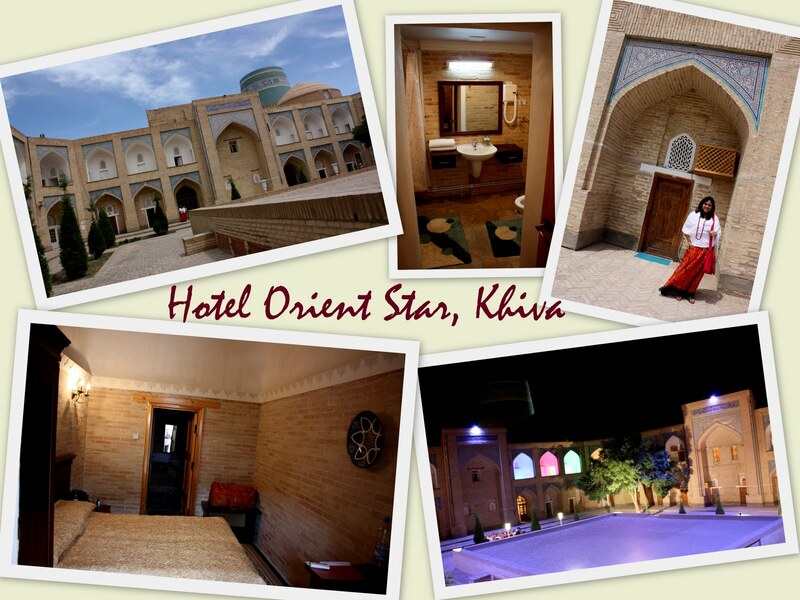 Our hotel, Hotel Orient Star, is situated in Ichan Kala, where all the major sites are. So, it was very convenient to sightsee and explore the area. 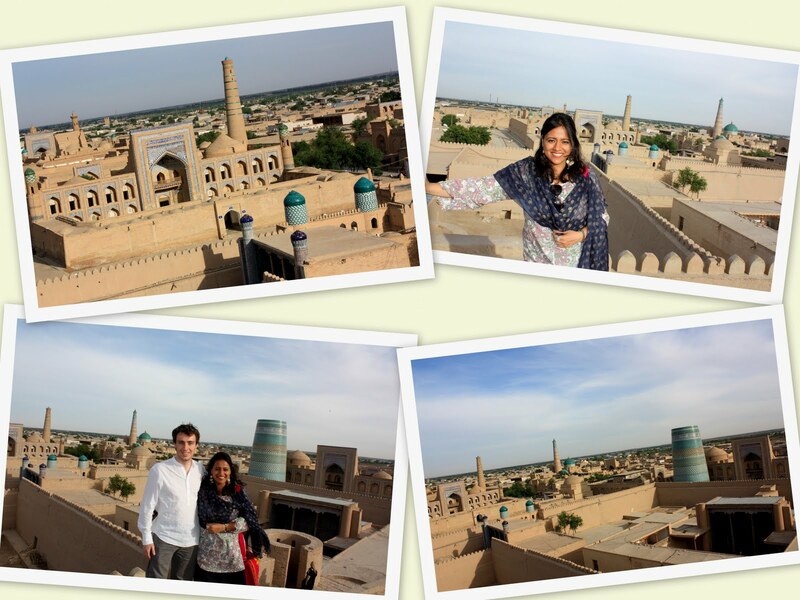 We had a local guide with us and she was very informative about Khiva's history and culture. We had an entrance ticket for all sites and also paid extra to use our camera and video camera. I felt that this system was good as we did not have to pay for cameras at each site but rather got the payment done in one shot. 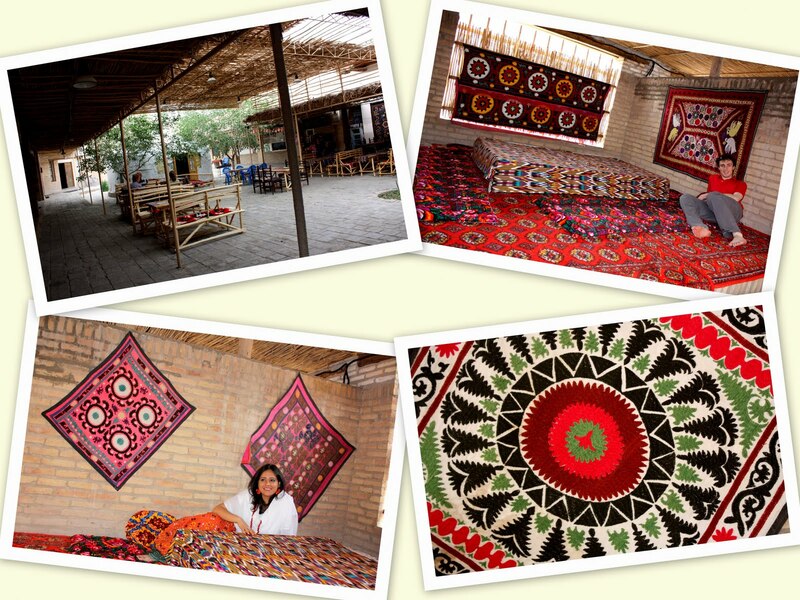 In other Uzbek cities, it is not like that. My favorite monument in Khiva was Kalta Minor. This minaret is very unique in its architecture and I love the different shades of blue used in its design! 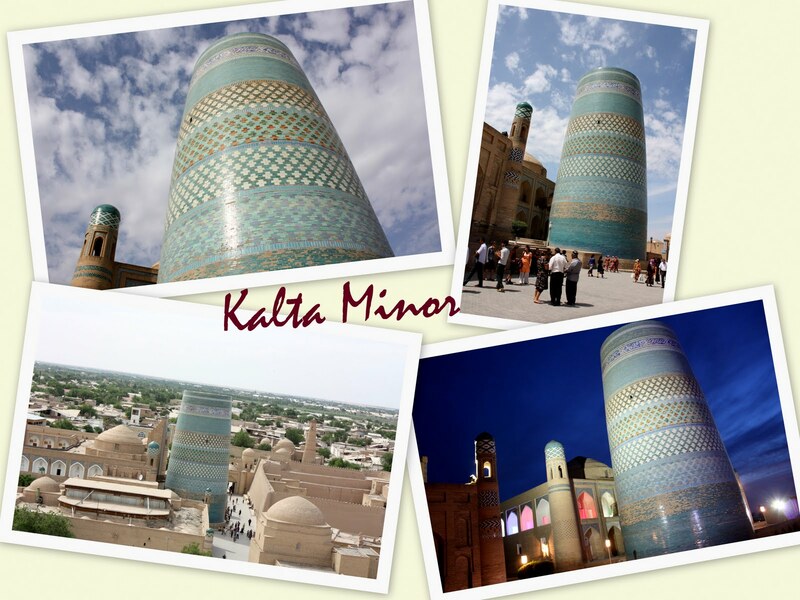 The funny thing about this minaret is that it is unfinished. The minaret was originally thought to rival the Kalon Minaret in Bukhara but the architect was afraid that he would be punished or killed by the king and so fled before it could be completed. So, just imagine how beautiful it would look had it been finished! Another interesting site is the Pahlawan Mahmoud Mausoleum. This mausoleum has a striking blue-green dome and is dedicated to Pahlawan Mahmud who is revered by Muslims in Central Asia for his bravery, strength and generosity towards the poor. 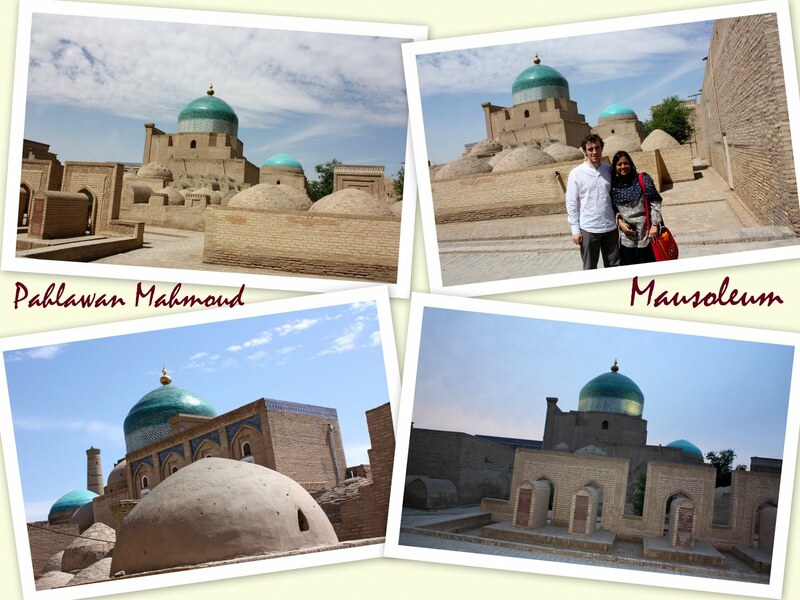 Pahlawan Mahmoud's grave has become an important shrine for pilgrims and the mausoleum also contains the tombs of other kings of Khiva. 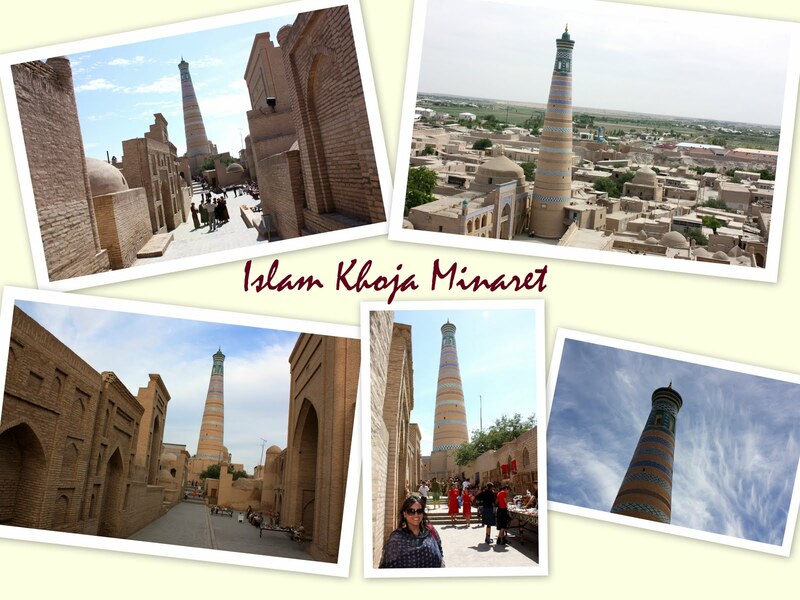 The Islam Khoja Minaret is also a very beautiful minaret from where one can enjoy panoramic views of Khiva. Islam Khoja was a high ranking political advisor to Khan Asfendijar who ruled Khiva in the early 20th century. The Khan did not trust anybody and was constantly suspicious of everyone, particularly Islam Khoja. He therefore arranged for Islam Khoja to be killed one evening. Of all the Uzbek cities, I thought that Khiva was that one that was most beautifully lit up at night. 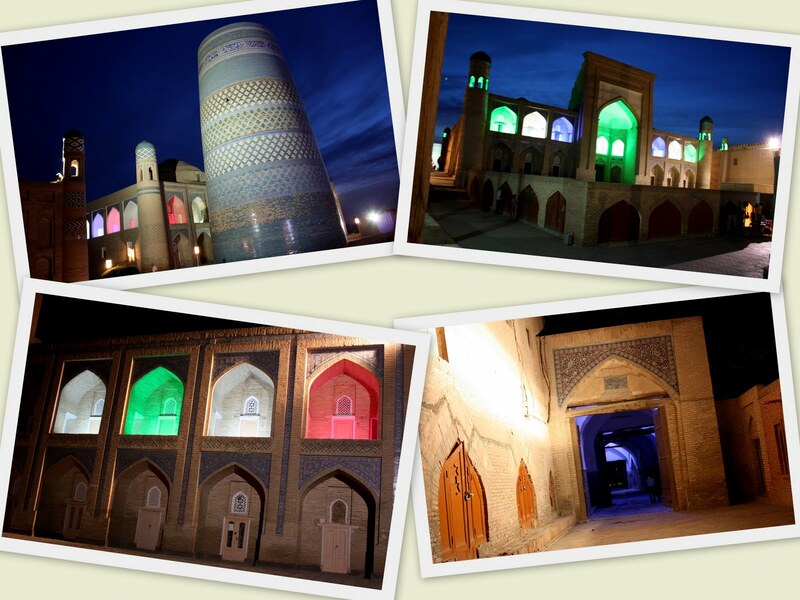 Every monument sparkled at night and some of them had interiors that were colorfully lit in green, red and blue. I loved Khiva as it is a very calm and peaceful city. There was hardly anyone at night while we were strolling around the streets. 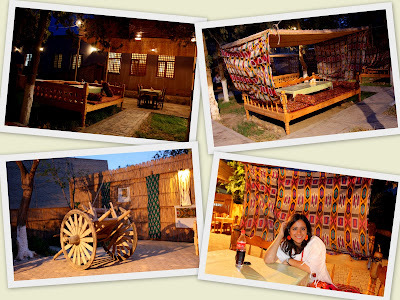 We also enjoyed drinks in typical Uzbek style and even then, no one was there! 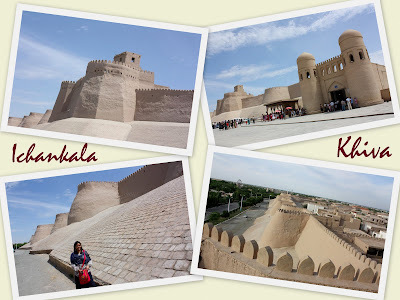 So, it really felt like Khiva belonged to us! The other thing I noticed was that the number of females largely outnumbered the number of males. Our guide told us that this is because many of the men are working in Russia to earn more money to support their families back in Uzbekistan. One last thing I want to mention about Khiva is the beautiful folk dance performance put up by a local family at a harem. The parents and their two young daughters were very entertaining and energetic and it was great to see their traditional dance and costumes. They invited us to join in the dance, and I am trying to minimize the embarrassment by putting up only a few seconds of that in my video, hehe. We also watched some acrobats in action. 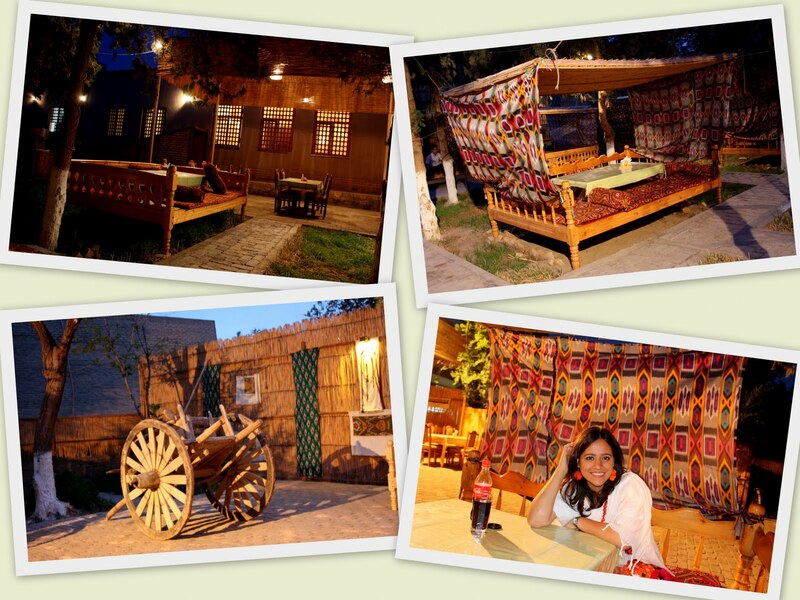 The setting was so beautiful-the interiors of a medrasah. 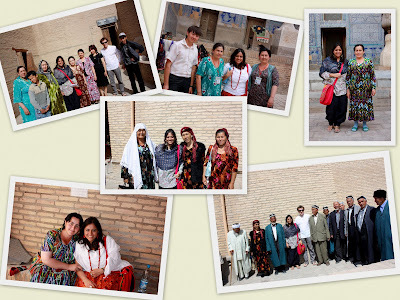 Being the first city I was exposed to in Uzbekistan, I was very touched by the locals' hospitality and in fact felt like a star! People kept approaching me, recognizing that I was Indian, and joyfully kept saying "Hindustan! Namaste!" Everywhere I went, I got attention from everyone -men, women and even kids! Lots of them wanted to take photos of me and many just kept joining in the photos. It was very amusing and I can't deny that I enjoyed the special attention, haha. It only brought me closer to the locals :)! 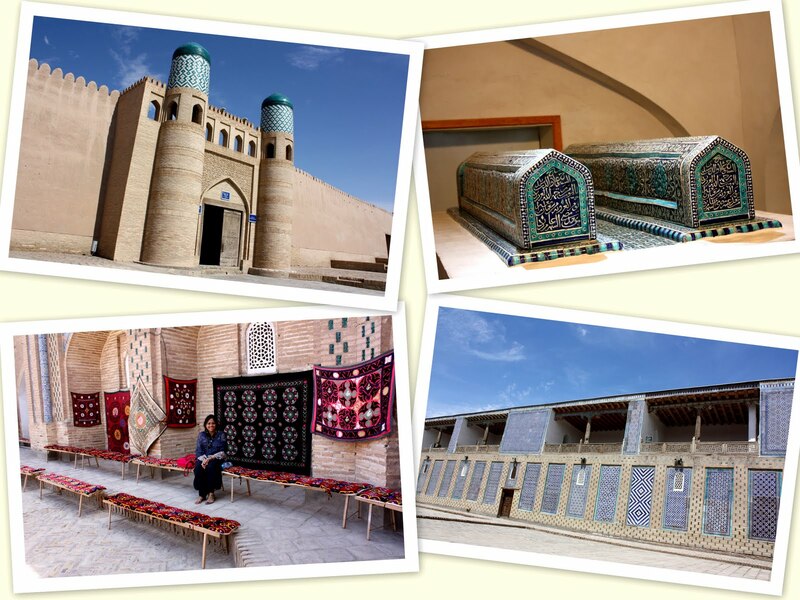 The Khiva is a small city that is situated along the Silk Road and is only 5 km away from the Turkmenistan border. It is divided into two parts Ichan Kala and Dishan Kala. The Ichan Kala is famous for many popular sites. 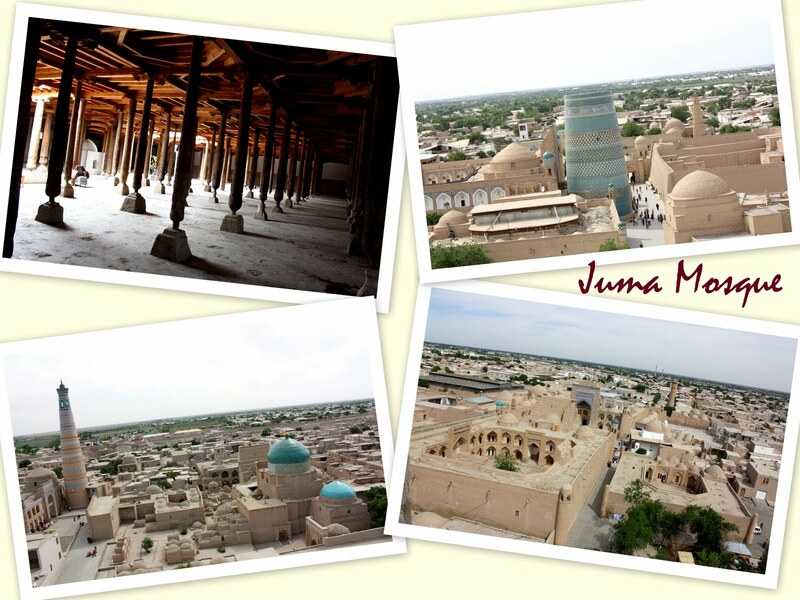 The city is known for its antique and classic architecture of mosques, monuments and forts. There are so many colorful designs which have a great attraction at night.